Each Day we will post “What’s In The Fridge” a daily update of what we have available to take home! All of our take home meals are lovingly prepared by our take home food master Ms. Brittany Howe under the guidance of head chef Breanne MacLeod Cyr. What’s in the Fridge ? On Facebook each day around 4pm! Tuesday thru Saturdays from 4pm onwards. Join us for Live music Friday & Saturday Nights from 6:30-9:30pm. Our Entertainment lineup is available here. Wednesday Night Date Night is Better than Ever! and not talk about work and/or the kids. 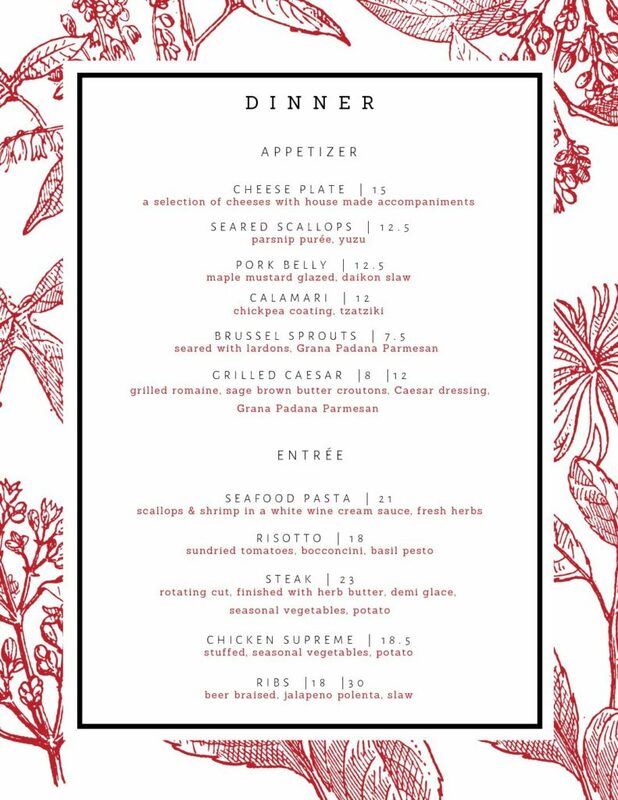 Our amazing new bistro menu is now available on Date Night for just $59.95 per couple!